MT4 for Android is an application specially designed for users of Android mobile devices. It supports the features of the MetaTrader 4 platform and has an intuitive interface. The application allows trading foreign exchange instruments online anytime and from anywhere. MT4 for Android is a simple and convenient solution for traders who want to react fast in changing trading conditions. 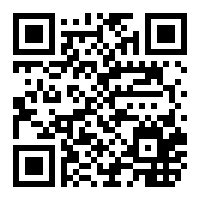 1) Open the QR barcode scanner application on your phone. 2) Point your phone camera at the barcode below and scan it. 3) Follow the onscreen instructions and the MT4 Android application will be installed on your phone. You can also download the MT4 Android application via email. 2) Enter your email address in the input box in the rightmost column. 3) Click the “Send” button. 4) After that, you will receive an email message with the download link. 5) Click on the link and follow the instructions to install the application.